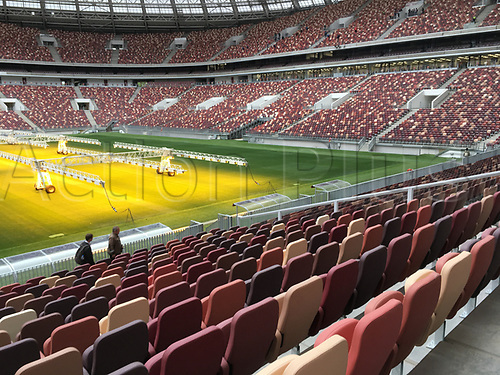 28th August 2017, Moscow, Russia; A view of the Luzhniki Stadium in Moscow, Russia. The Luzhniki is the most important stadium of the football World Cup 2018 in Russia. Since 2013 it has been renovated extensively.